I have a confession…..I HATE cleaning the floors! It is one of my worst housework jobs, and one I am always putting off. It is just such a hassle, as you have to move everything, then carry the heavy bucket (bad back!) 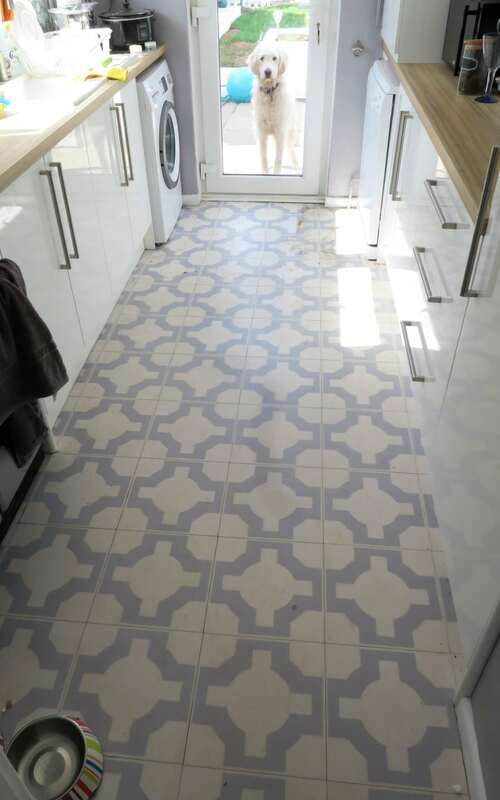 and then leave the floors to dry, whilst stopping the dog from walking all over the wet floor! 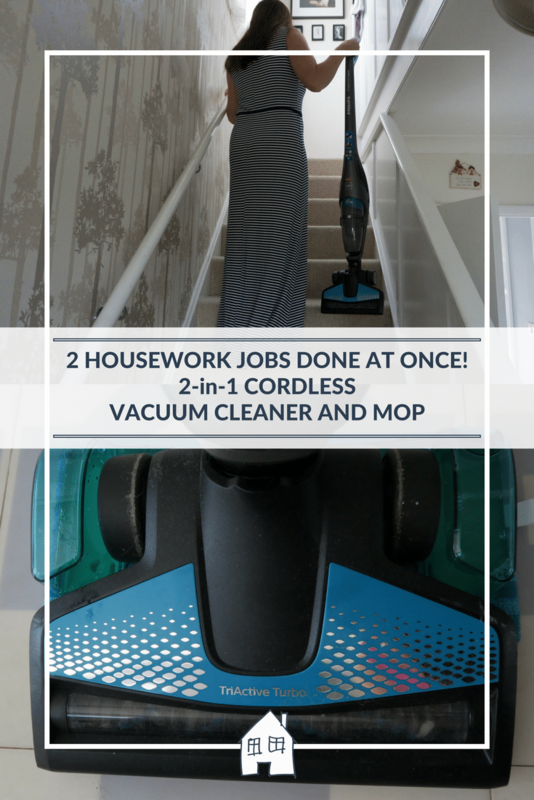 So when I spotted the Phillips PowerPro Aqua 2-in-1 Wet and Dry Cordless Vacuum and Mop (I’ll call it PowerPro Aqua for short!) I thought this is bound to solve my problem…….! 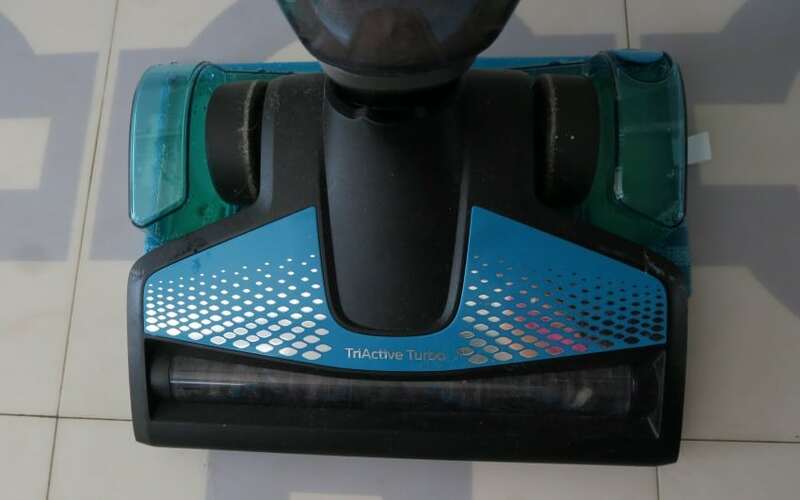 This product combines both vacuuming and mopping together, and I’ve never seen a product like this before. 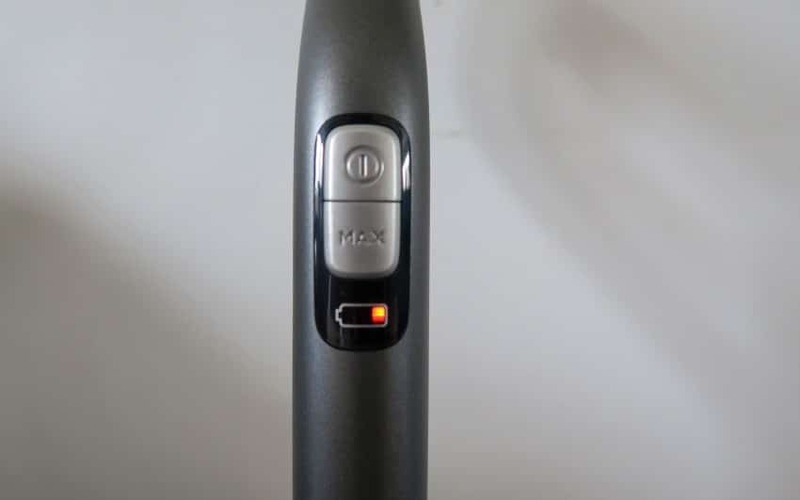 I already own a cordless vacuum, and it is so easy just to get on with the job quickly, and not worry about any of the cables or being restricted to one room. So this got a tick for this straight away. 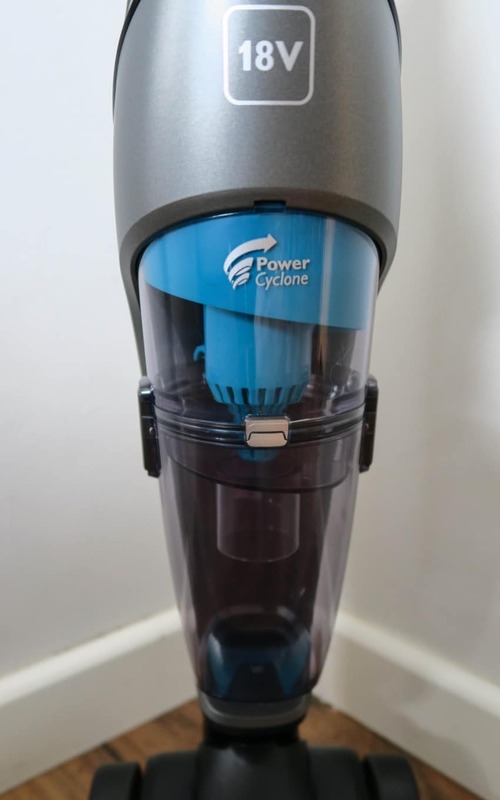 Included inside the PowerPro Aqua is a 18V battery, which lasts about 40 minutes use, which is plenty of time to do my house. The PowerPro Aqua plugs into a main socket to charge, and the cord goes directly into the PowerPro Aqua. This can be a little restricted as you have to charge it up close to a plug, but means it has to stay standing to charge. It doesn’t come with a separate battery to charge up. It does however have a clear light system to see how much charge is left. It charges in about 5 hours from empty to full. As the PowerPro Aqua is cordless I did wonder if it was going to be heavy to carry. Not at all, it is so lightweight, and so easy to push around. It makes it very easy to carry up the stairs as well! So how does it clean! As a vacuum it is a good little vacuum, it easily picks up dirt, fluff and mud. You could easily have this as a everyday vacuum. I do have a long haired dog, and 3 of us have long hair, and it has tangled up around the rollers quite quickly. However it is a little vacuum, so it is going to get tangled quicker. Although they have thought of this, and you can easily get into the rollers to clean them out. The filters are washable, easy to access and filters 90% bacteria and allergens. I found it easy to wash out, change and empty the dirt into the bin. I wanted to give the PowerPro Aqua a really good mopping test! 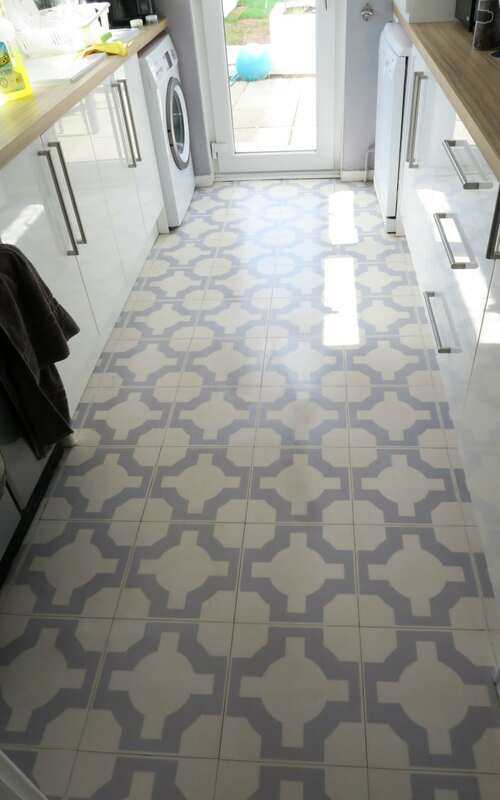 So excuse the state of my kitchen floor! 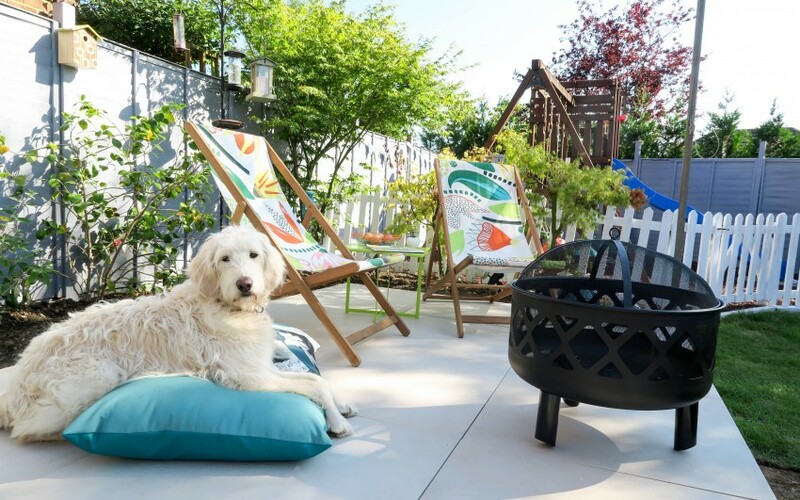 We have been doing lots of garden landscaping, and mud has been walked in the house so much. The dog has muddy paws, and my husband has worked very hard but produced a lot of mess!! However it gives this a good test. 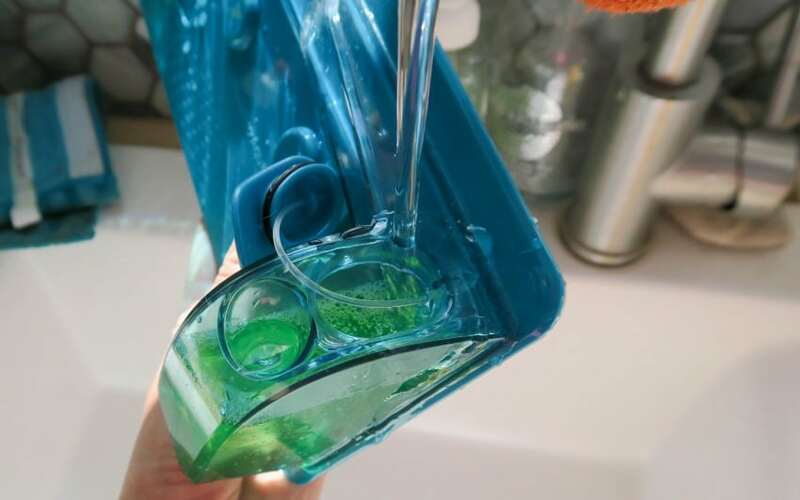 I was so impressed by how easy it was to use, you add your floor cleaner and water to the water holder. There are magnets inside the vacuum, and the water holder. So when you place the PowerPro Aqua onto the water holder, it slots in nicely. 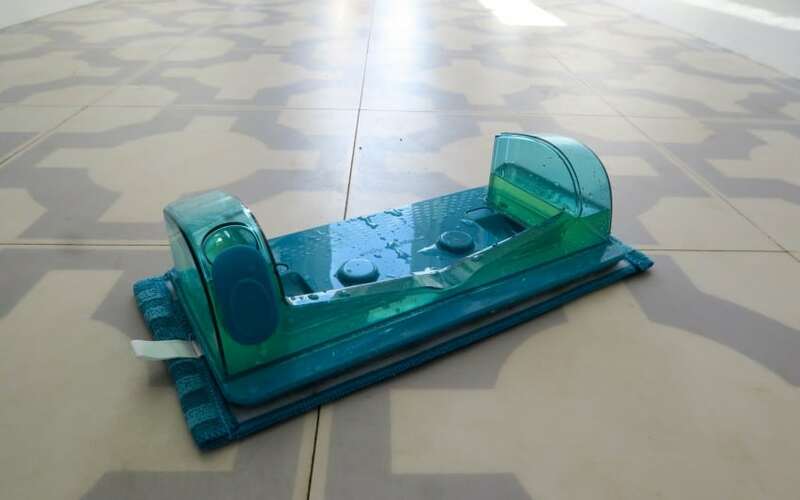 You can then push it around the floor, whilst the water is coming out and it washes the floor. 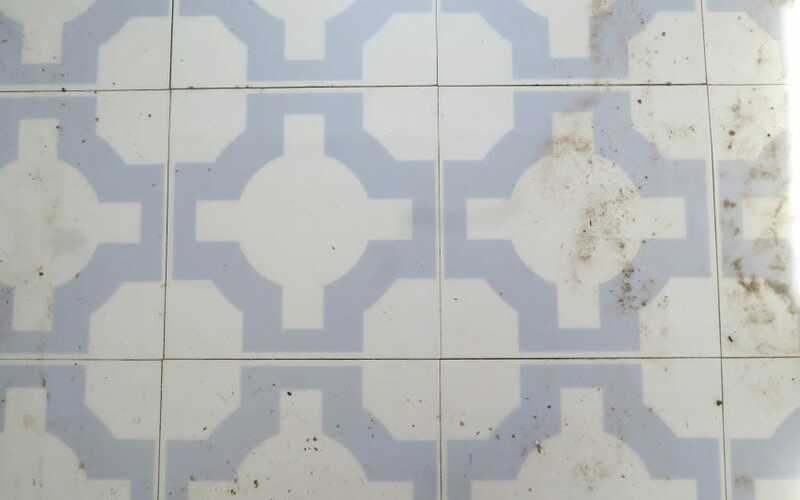 As you can see it washed up really well, it does struggle to get in the edges that are a bit tricky to get into, and I did have to go around with a floor wipe to clean that up, but the most of it was done. The floors dried really quickly as well, which I loved as it means you can quickly mop the floor now! There is 2 microfibre pads included, which I like, as it means you can wash and dry one, whilst the other one can be used. 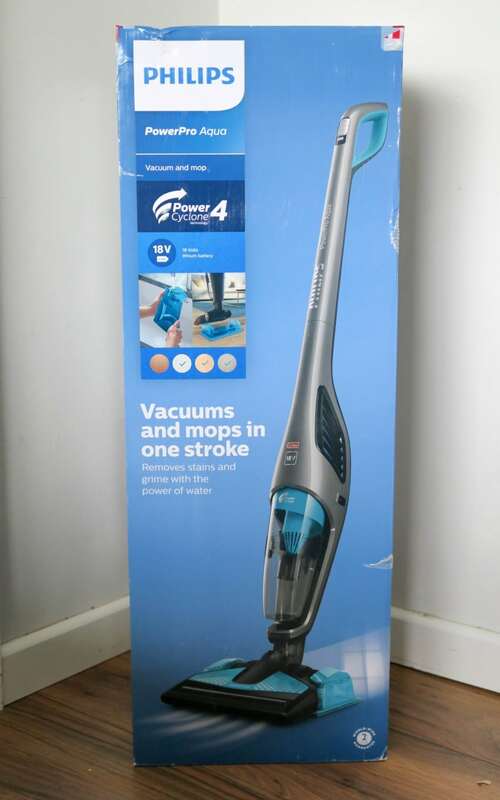 Priced at RRP £240 but you can also pick it up on Amazon, I think this is a great price for a cordless vacuum and the mop function too. 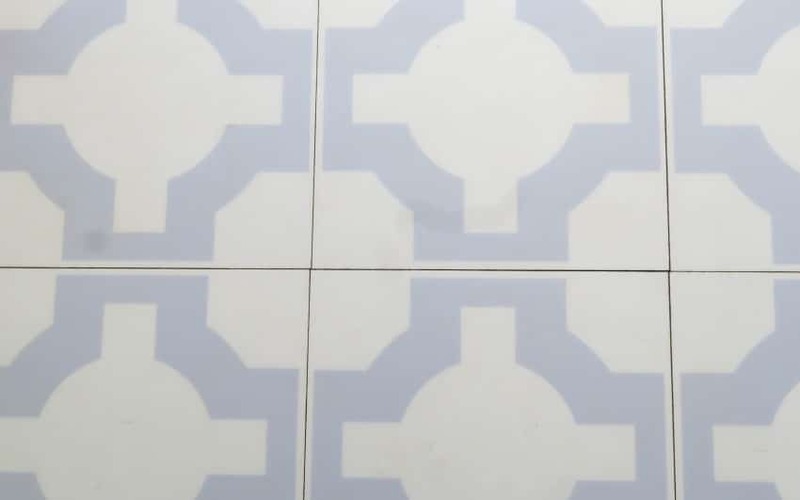 This has solved my issue with washing floors, it is such a simple task to do now and I am really pleased with it. I even washed my new porcelain tiles outside in my garden! Look how nice they came out. 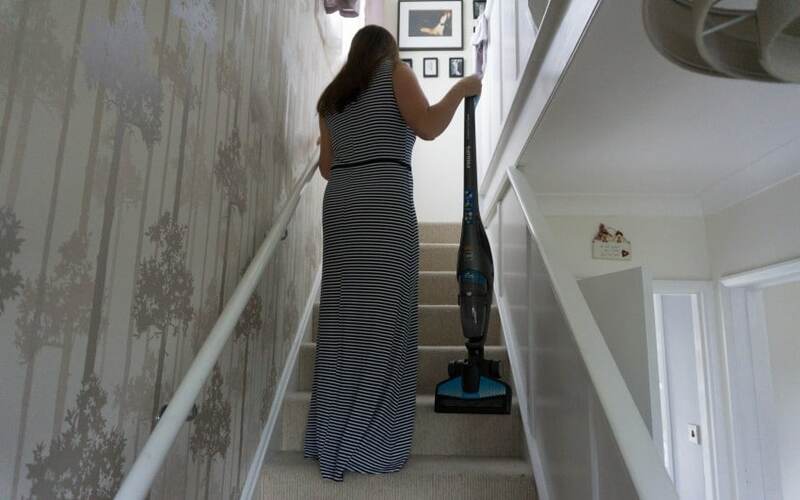 *I received this Phillips PowerPro Aqua 2-in1 Vacuum and Mop for the purpose of this review, however all words and opinions are honest and of my own. I love the fact that it is cordless. Would be great for the stairs. It is so light to carry up the stairs too! Oh yes I can imagine he does make a mess! Good job we love them hey!! This is something I definitely need for my house! I am finding it so useful, so worth checking it out! It is super handy! I’m glad I’m not alone on the cleaning thing!! The wet and dry features sound really good! When we replace out vacuum cleaner, we’ll give this one a go! Seems like you really got into cleaning, and you got the results you want. Yes I was pretty impressed! Haha!! I need to teach him to wipe his feet!!! Oh i love that this is a vaccume and mop in one that’s very handy. I’d definitely consider purchasing one if I didn’t love my Dyson so much. I am putting it to good use!! I have cleaned the floor so much more since having it!